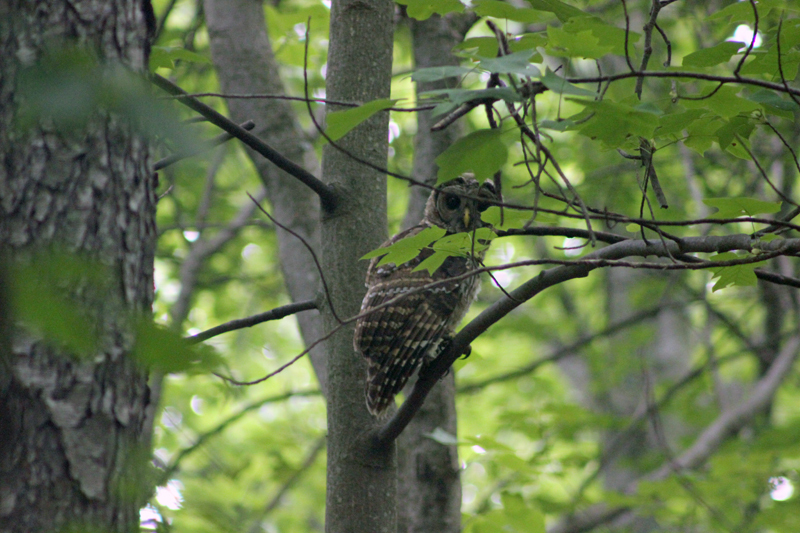 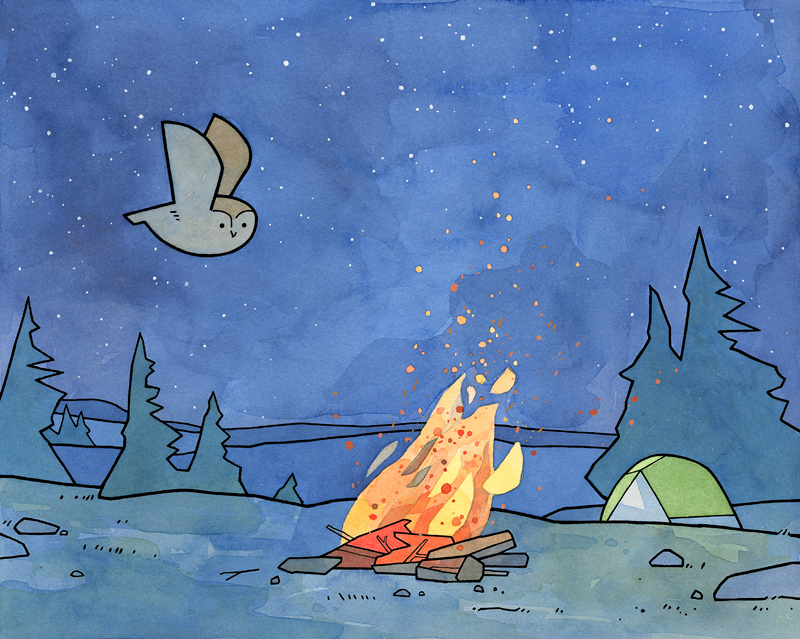 Owl 48 is a little owl flying past a campsite with a tent and campfire. 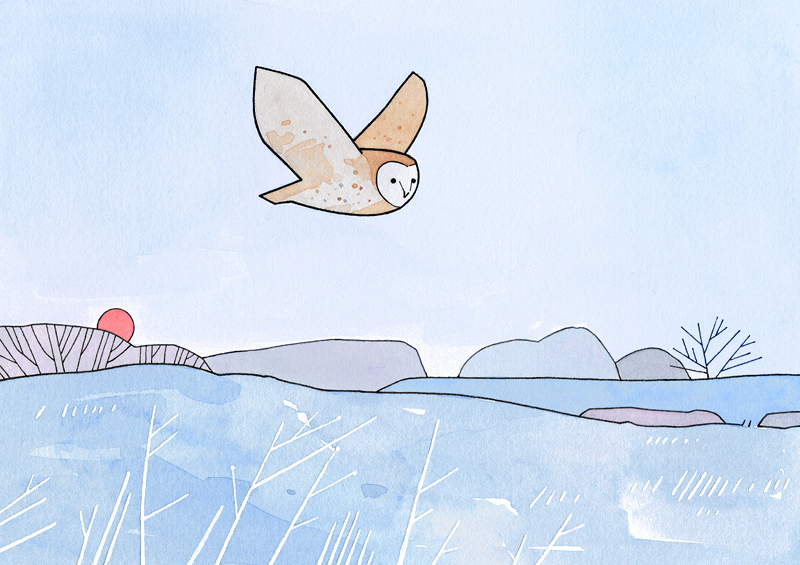 A little preview of new work. 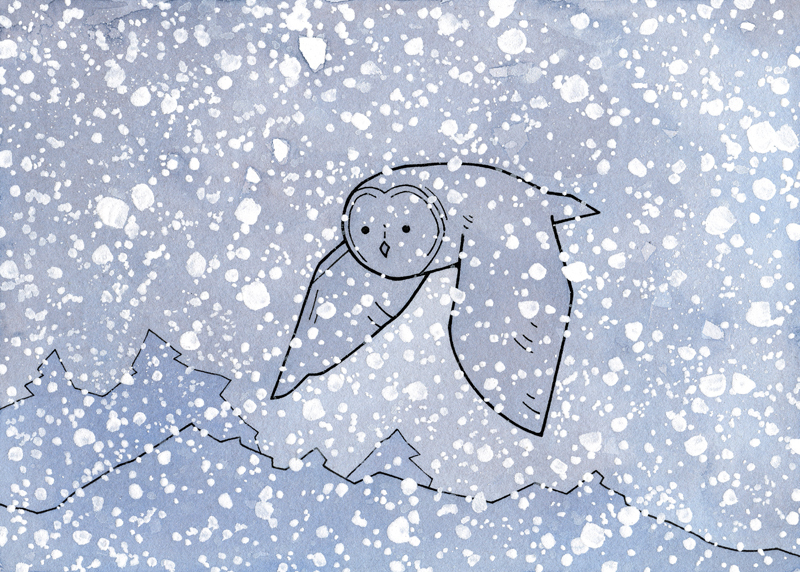 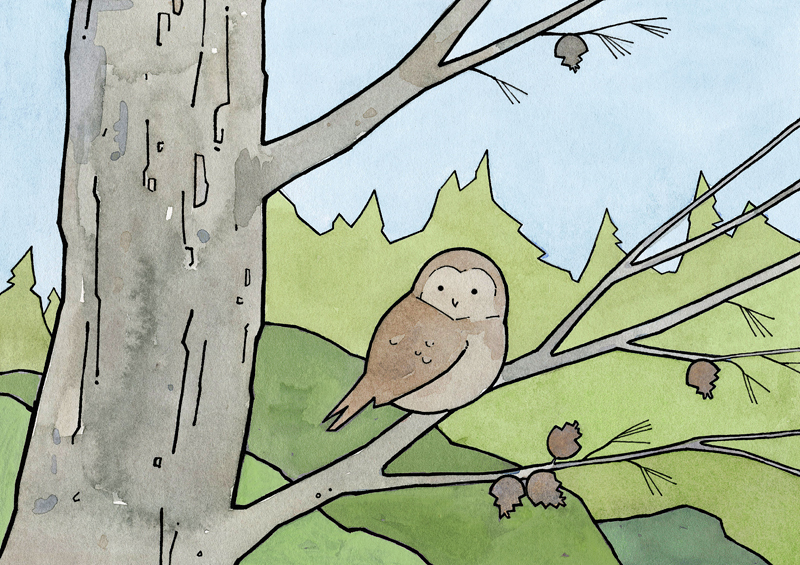 I spent last week sketching lots of new ideas for this year’s owl calendar (2016). 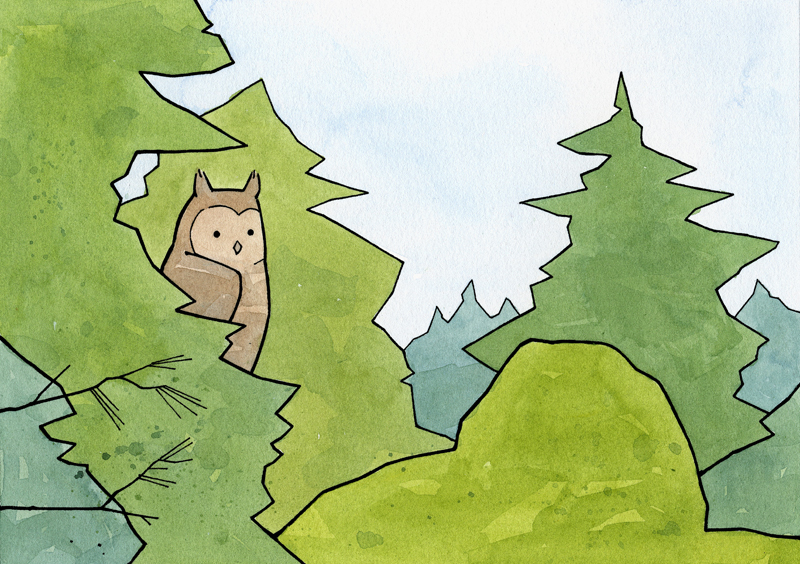 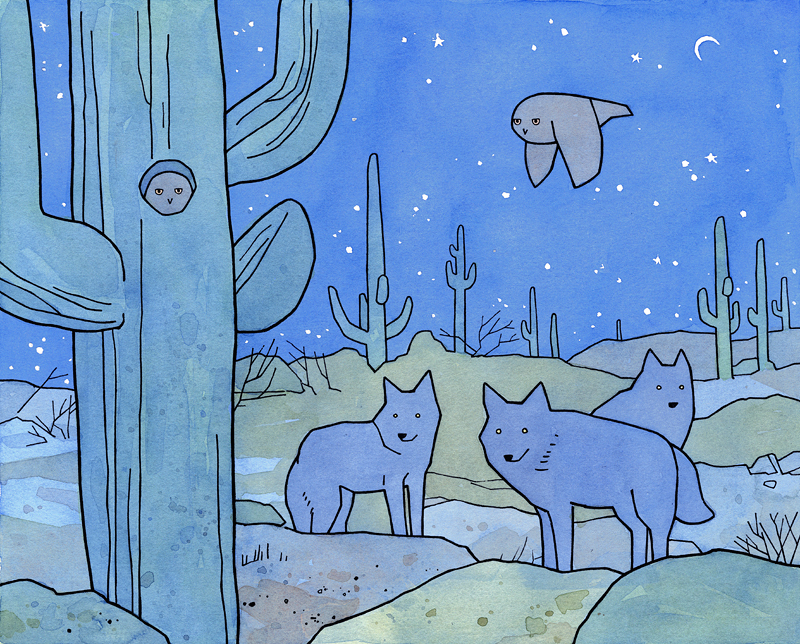 I have a bunch of fun illustrations in the works that I will be posting in the coming weeks. 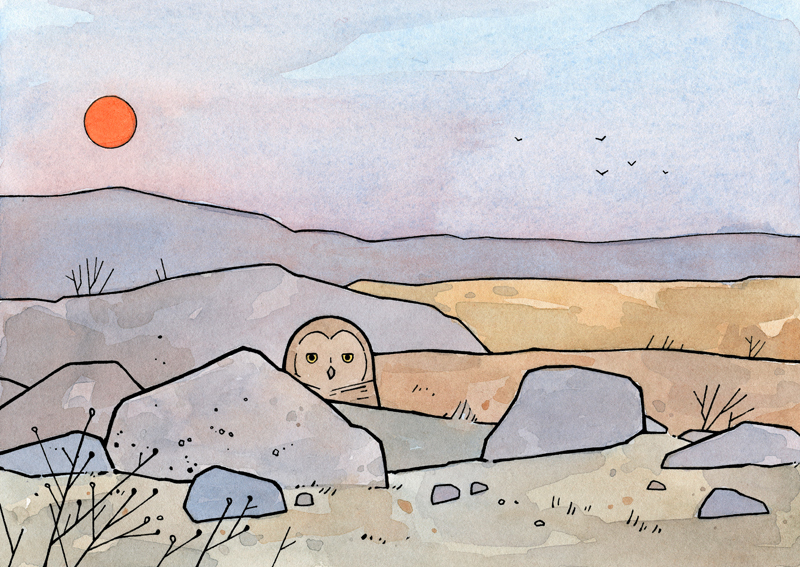 Hope to have the calendar finished up by October with all new illustrations. 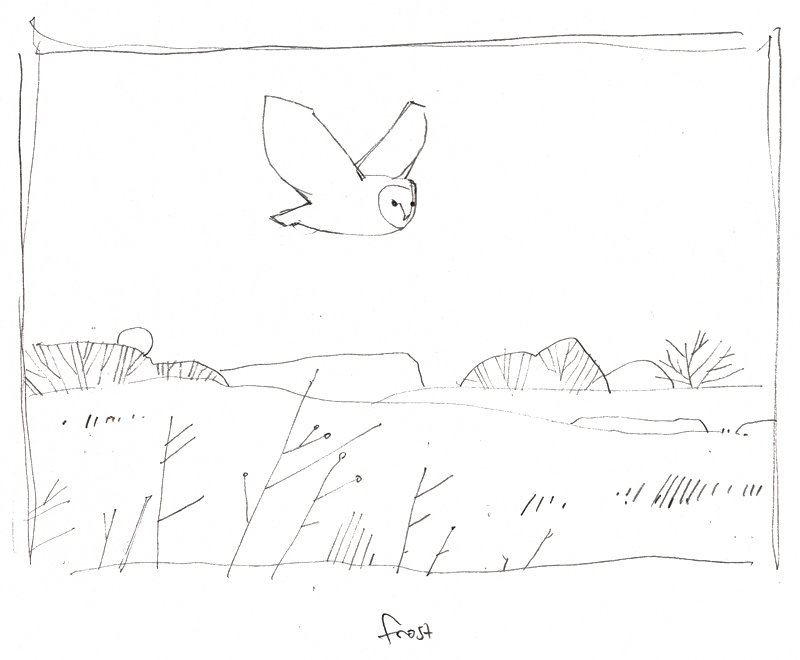 Above, a barn owl flying over a frosty field. 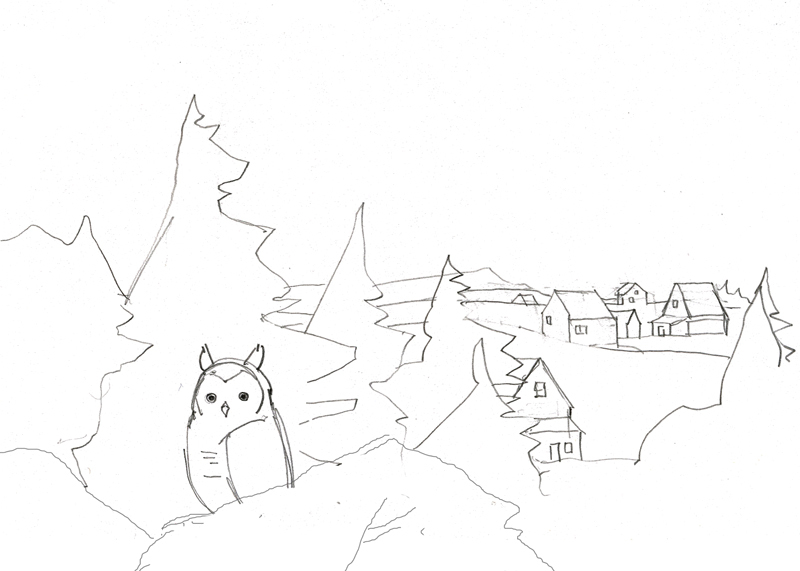 Below, an owl in a little landscape with houses which will be used for the December month and this year’s Christmas cards. 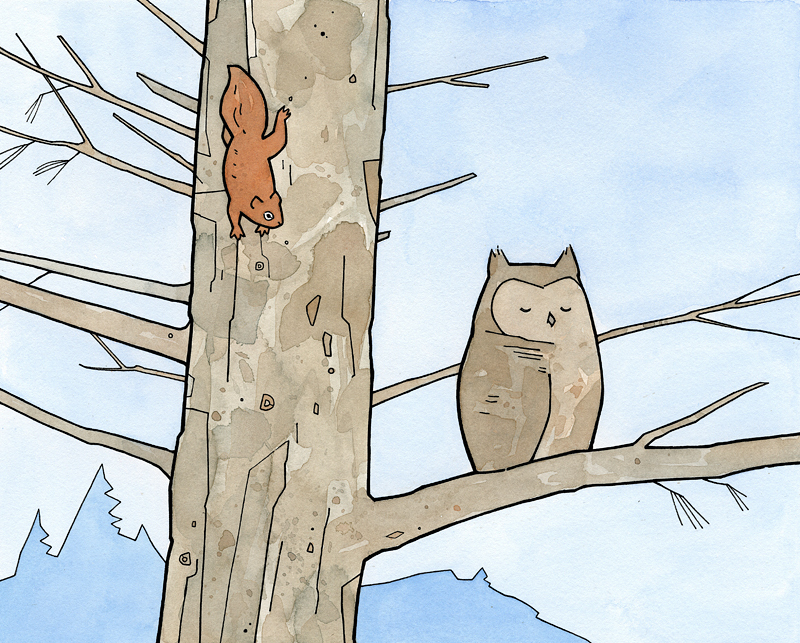 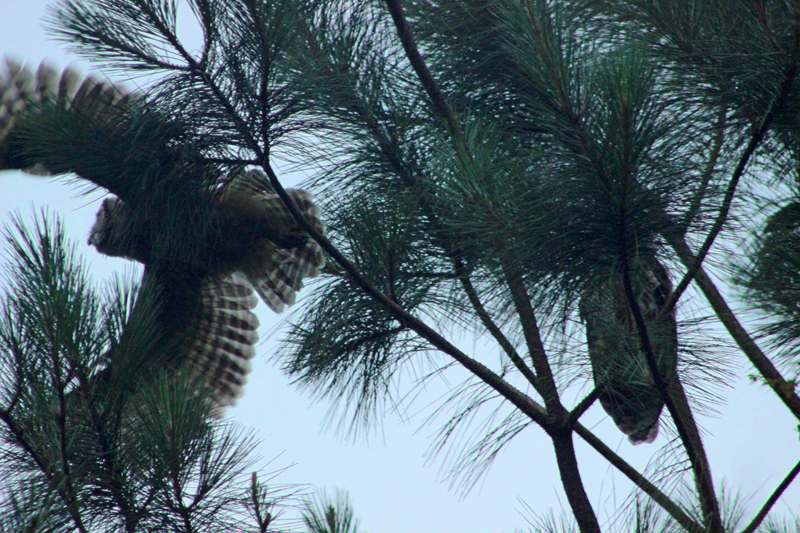 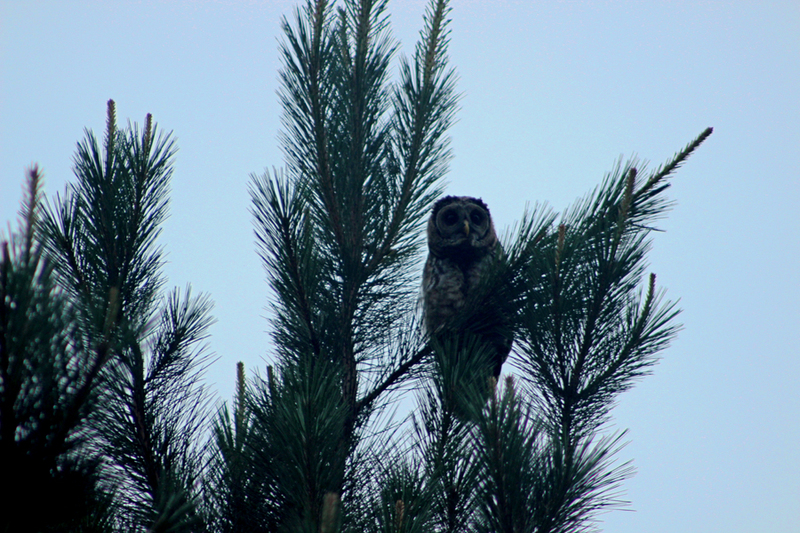 High up in a pine a Great Horned owl snoozes and a little Red Squirrel carefully climbs past on his way down the tree.